Armstrong, K. G. (2003). 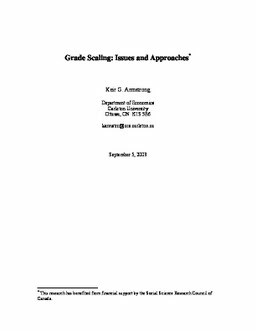 Grade Scaling: Issues and Approaches. Teaching Options Pédagogiques, 7(1), 2–11.